See breathtaking landscapes you never imagined existed. Awesome nature and incredible people! Take a look at one of the most beautiful town in Colombia. 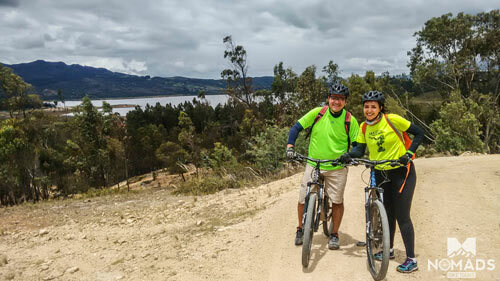 A pretty village at northeast of Bogota and an hour and a half from the city, surrounded by green mountains, wrapped in golden legends and unforgettable bike paths. A village 1 hour north of Bogotá with a population of 132,000, known for its famous salt cathedral, its green landscapes and biker culture. We will visit lakes, off roads, single – tracks and secondary paths. A village one hour and a half north of Bogota, known to be the region in Colombia where the practice of climbing began in its cliffs of sandstone. Visit fields, areas of native forest, ponds, and much more. Rely on our team’s expertise to design a custom-tailored bike excursion for you and your friends or family. We want to ensure that your Nomads Bike Tours trip is exactly how you want it. Tell us your needs, wishes, and budget and we’ll work together to design a Colombian adventure you’ll never forget. 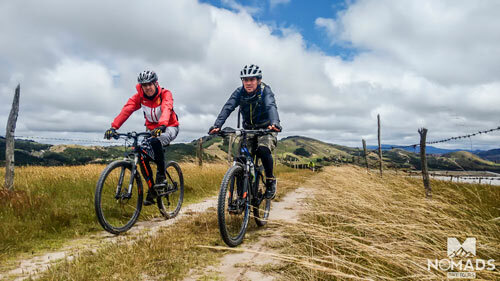 We offer tours for all levels of cyclists in mountain bike. Our half- or full-day excursions are an ideal way to experience the surroundings of Bogota city from a different perspective. Learn about Colombia’s people, it’s rich natural resources, and it’s tumultuous history while riding through some of the most incredible scenery. Ride with confidence and security; all of our riders are covered by insurance in case of any problems or emergencies. Our guides are well trained in First Aid and Outdoor Guidance. 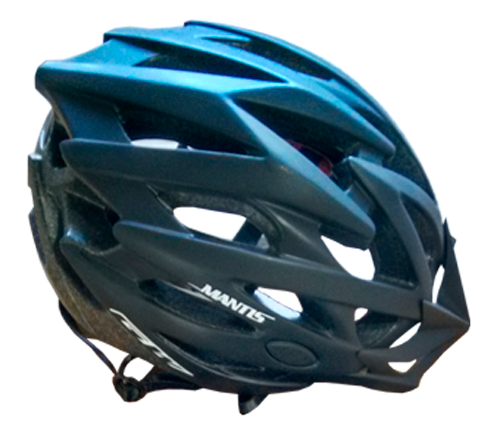 We check frequently our bicycles and protection gear is always available. 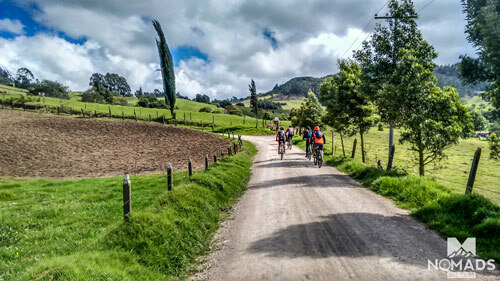 Why choose Nomads Bike Tours? Whether it’s a tour for one or twenty-one, we always have a sweeper car available to attend to any needs that may arise. We’ll keep you hydrated during the ride with fresh bottled water and energy drinks. All of our bilingual guides are trained in first aid and equipped with all necessary supplies. Experience the unbelievable diversity of Colombia’s flora and fauna, as well as the legendary hospitality of its people. We provide healthy, rejuvenating snacks as part of the excursion. Learn about Colombia’s history, culture, and biodiversity from our professional, trained group of guides. We have well-trained mechanics on hand to solve any bike performance issues that might arise. Brought your own wheels to Colombia? No problem - we will transport it for you during our excursion.